SKU: RS46389. Category: Soccer. Tags: coaching, Emilio Cecchini, soccer, team. 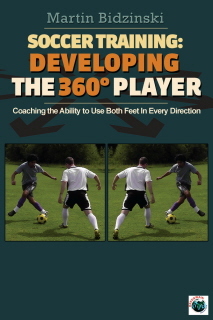 In this outstanding book, Coaching Team Shape, Coach Emilio Cecchini teaches the game from the ground up. 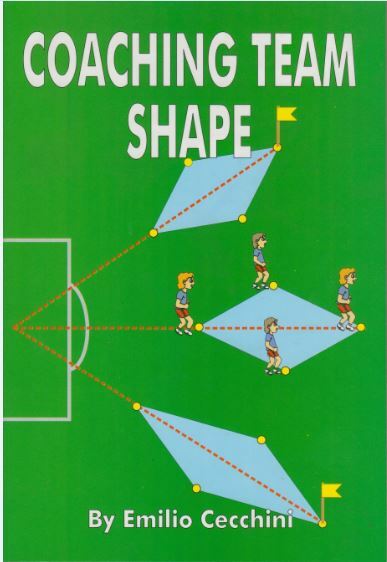 He uses geometric figure exercises to coach the concepts of space, orientation and communication. This is a progressive and innovative teaching method geared towards players in the 9-16 year old age group and has proven highly successful in the development of many Italian youth players. Emilio Cecchini was born in Casinina di Auditore (Pesaro) on May 22, 1948. He took a degree at Urbino’s ISEF (Higher School of Physical Training) and, after taking a further degee in Sociology, he started his career as a professional coach with Italian “Seconda Categoria.” He is a regular teacher at Urbino’s ISEF and a high school teacher of Physical Education. He is the author of books about tactical development and articles on various subjects: physical-athletic, methodological, cognitive and operational with regard to young players’ development phases. After his experience in amateur and semi-professional soccer, he devoted himself to youth soccer. In September 1994 he became a youth sector technical collaborator for the San Marino Soccer League.